Consider this car for your next buy, as it's an outstanding vehicle with many virtues and good qualities, such as CVT Xtronic, ABS brakes, Auto-dimming Rear-View mirror, Compass, Driver door bin, Driver vanity mirror, Electronic Stability Control, Front dual zone A/C, Front reading lights, Garage door transmitter: HomeLink, Heated door mirrors, Heated Front Bucket Seats, Heated front seats, Heated steering wheel, Illuminated entry, Low tire pressure warning, Outside temperature display, Overhead console, Passenger vanity mirror, Rear reading lights, Rear seat center armrest, Remote keyless entry, Tachometer, Telescoping steering wheel, Tilt steering wheel, Traction control, and Trip computer. 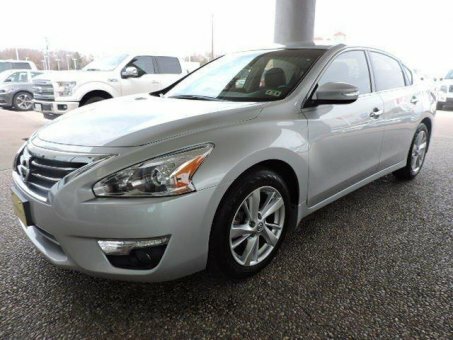 Take your hand off the mouse because this 2013 Nissan Altima is the car you've been trying to find. It is nicely equipped with features such as ABS brakes, Auto-dimming Rear-View mirror, Compass, CVT Xtronic, Driver door bin, Driver vanity mirror, Electronic Stability Control, Front dual zone A/C, Front reading lights, Garage door transmitter: HomeLink, Heated door mirrors, Heated Front Bucket Seats, Heated front seats, Heated steering wheel, Illuminated entry, Low tire pressure warning, Outside temperature display, Overhead console, Passenger vanity mirror, Rear reading lights, Rear seat center armrest, Remote keyless entry, Tachometer, Telescoping steering wheel, Tilt steering wheel, Traction control, and Trip computer. This outstanding Nissan is one of the most sought after used vehicles on the market because it NEVER lets owners down.